Grilling season is here! I like the charcoal grill okay, but it takes a long time for the coals to heat up, so I don’t use it very often. But I received a propane grill as a gift, and that seems to be the answer for me, so now I’m ready to start grilling! 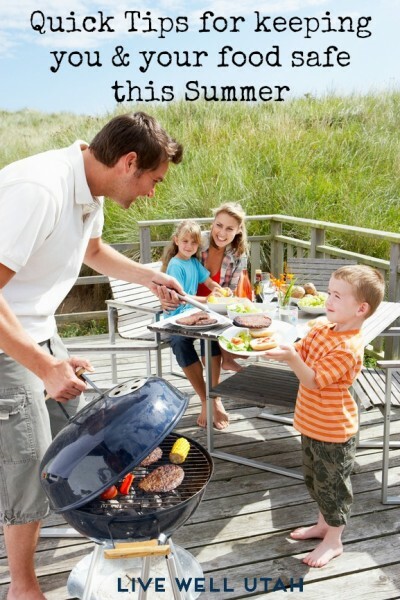 If you are ready like me, you may want to check out the factsheet I found on barbecuing and food safety. It has some great tips about marinating, precooking foods to reduce grilling time, final cooking temperatures for different meats and how to keep foods hot until you are ready to serve them. There are 15 topic areas with all the information you’ll need for each. If you are looking for some similar tips at a glance, check out our recently shared “How to Keep You and Your Food Safe this Summer” post. There is also a postcard you can print out that provides a quick refresher. Happy grilling!